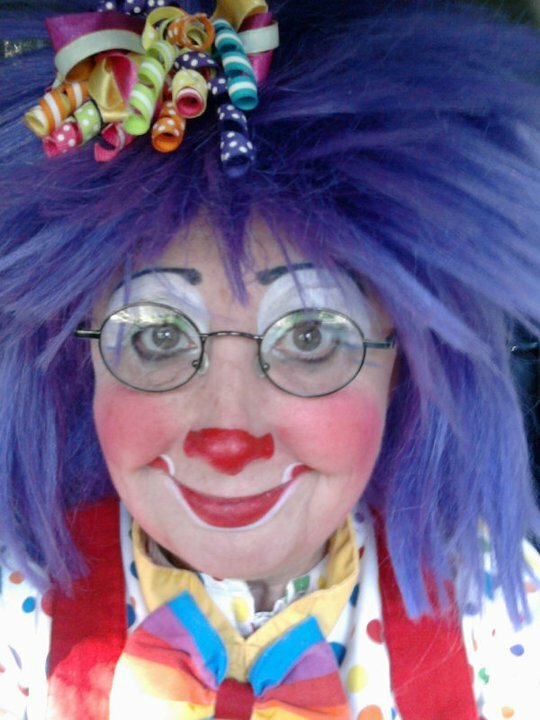 I am a clown, and a children’s entertainer. And I feared that I would never do what I loved ever again. 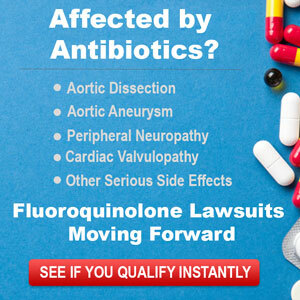 My Fluoroquinolone story started on December 7th, 2004 when I was prescribed Avelox for sinus infection/bronchitis. After my first dose, I got severe flu –like symptom and could not stand. I laid down and became concerned that the nausea and severe fatigue was too sudden. The next morning, I took my second dose of Avelox. After the second dose, I got much worse. I ached, couldn’t stand and felt extremely weak and nauseated. I called the doctor and told them that I believed I was having a reaction to the Avelox. They immediately had me stop taking it and prescribed a non-fluoroquinolone antibiotic. Within a day I began to feel better, I assumed, because the drug was out of my system. However, in the month ensuing I began to develop joint pain and fatigue. To my surprise, I began to lose weight. Not less than a month after the ingestion of the Avelox, nerves and muscles throughout my body began to twitch. It was maddening! Then the god-awful burning nerve pain began. I lost all my stamina and wasn’t able to stand more than 5 minutes. I had to stop working as I had no strength and the pain made my life unbearable. My PCP doctor (same office that first prescribed the Avelox) sent me to a neurologist who also gave me a brain MRI to look for Multiple Sclerosis. It was negative. I was also giving a multitude of blood tests looking for the diseases that are similar to an FQ poisoning: Lupus, Lyme and a few exotic diseases. All negative. My doctor finally put in my notes information about my personal life, inferring that I was having some sort of emotional breakdown. I was furious! In fact, prior to this, I was very, very happy and content with my life. The pain was so bad that my husband took me to the emergency room at Uconn hospital. They, calling my PCP, came back with a request for me to see psyche! They called a psychiatrist down to see me! At this point, I felt like no one was believing me and I felt despair. They sent me home without anything to address my pain. It had been weeks of this and I was feeling like I didn’t want to live. I couldn’t get out of bed. I hurt everywhere and I felt like the medical community had given up on me. Two days later, I was balled up in the fetal position crying because the pain was so bad. My husband took me to Yale-New Haven emergency room. Only this time, they called the head of Yale School of Medicine department of Neurology. I told the doctor that I believed that I had had a reaction to Avelox. I couldn’t believe my ears when I heard him say, “I’ve seen this before!” What a sense of relief to be believed! He said that there was nothing they could do but treat the symptoms. He put me on hydrocodone for pain and Ativan to quiet down my nervous system. After Yale contacted my PCP, my doctor prescribed Cymbalta for the nerve pain (though I still think he prescribed it because he thought I was nuts.) Throughout this ordeal I dealt with the following: Central Nervous System damage: Dizziness, insomnia, weight loss (35lbs in 6 weeks), twitching nerves and muscles, tremors, body wide, sensitivity to light and sound, anxiety. I experienced brain fog, could not concentrate and short term memory problems. Peripheral nervous system damage: Pain in legs, feet, arms and hands. Migrating pain throughout the body. Chest and back pain. Severe neck pain. Pressure in my head and behind my eyes. Nerves twitching in the abdomen. I had the following test: Brain MRI, Cat Scan of heart, Cat Scan of Abdomen, Complete Blood work up. Neurological work up. The could not find anything as is the case with most FQ poisoning. A year prior to ingesting the Avelox, I found out after the fact, that I had taken Cipro for a sinus infection. Immediately after taking Cipro I had rectal bleeding and developed GERD. I never connected the abdominal problems to the Cipro until after I took the Avelox and my doctor had looked back in my records. During that year, my abdominal health deteriorated. I could not digest food. I had all kinds of very yucky tests to find out that my gut was not moving the food through my system fast enough. In fact, it was moving very slowly. I went on a mostly vegetarian diet that year just to live each day! Oddly, I did seem to recover slowly from this up to the ingestion of Avelox. A health care professional told me that it looked to her that I had suffered nerve damage in my gut. So it all began to make sense to me. I am now 6 years out from this horrific experience and though I have had some remarkably recover, I am now faced with chronic pain, short term memory loss, vertigo and some eye problems. I think I am luckier than many who have suffered the effects of these horrific drugs. But I was dependent on pain and anxiety drugs for several years after this just to help me recover. I have to pace myself to this day being very careful not to get fatigued or overly stressed as we do relapse more severe pain. The brain fog and the memory problems persist and I’ve learned to work around them but they are still maddening and very tough on my husband and those around me that just don’t understand or forget that I am permanently damaged. Doctors, by and large, don’t affirm us. Many make us feel as though we’re nuts. Even though the possible damage is right in the drug literature. We don’t understand the medical communities reluctance to see this as a terrible problem. There are literally thousands of us. After I suspected that Avelox had damaged me (which was fairly immediate) I went to the internet to research the drug and found a whole community of people going through the same thing. Now there are dozens of groups and blogs trying to get the word out and to get the FDA to take action. PLEASE! If you are giving Avelox, Cipro or Levaquin and you are NOT on your death bed, ASK FOR SOMETHING ELSE! Tell the doc to reserve these chemo-therapeutic antibiotics for life and death situations. Otherwise, you are playing Russian Roulette with your life!